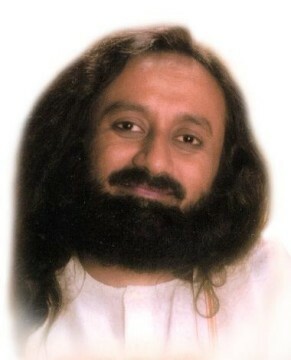 Gurudev, is it practically possible to be ever smiling and happy in life you? What is your trade secret? I promise I’ll never compete with you. I want competition! I want everybody to compete with me! I don’t want that promise from you at all. In fact, you should tell me that you will always compete with me. There is an ancient saying, 'Shishyat icchet parajayam’, a teacher always wishes to be defeated by his student. That is the pride of a teacher. What is the secret to keep smiling? 1. Broaden your vision and know that life is much bigger than the small events that take place in life. What robs you of your smile is unpleasant events; events which do not bring you comfort or which appear to give you misery. But when you realize that you are much bigger than pleasure and pain, and you are much bigger than the events in your life, both pleasant or unpleasant, then the smile on your face will not vanish. 2. When you know that there is a power that will guide you and take care of you, then also your smile cannot vanish. 3. When you know that you are here to give and contribute to people who need you more than you need anything else, that also gives you the strength to move through those moments when you cannot smile. 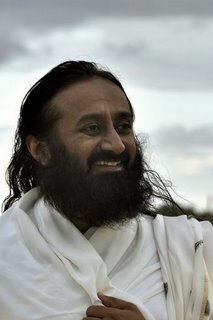 Gurudev, what is the secret to happiness? The secret to happiness is in being without desires, and in focusing on how you can serve others. The more you serve, the more happiness you will get. Having this feeling, 'I don't want anything for myself, I am contented', bring happiness. And the third thing that brings happiness is wisdom. Without wisdom there is no happiness in life. Gurudev, you have said that at some point in time women were so powerful that even nature would listen to them. It doesn’t seem to be like that now. What changed? Well, you should ask the historians. Historians will be able to tell you why women lost their power when they had all the power once upon a time. But it’s not late now. Women should not ask for power. They should not say, ‘I want to be empowered’. I would like to tell all the women folk, ‘Don’t sit and wait for someone to give you power. Know that you have all the power and move on collectively’. Yesterday I was in Delhi, and there was a discussion that the women in Kashmir do not have power over their own property. There is a Kashmiri lady who got married to someone in Calcutta and had two children. Her husband passed away and she moved backed to Jammu with her two kids. She has property there, but the law is such that she could not transfer her property to her own daughters. This kind of discrimination should not be tolerated in this country. So I told the womenfolk, ‘You take this up and challenge it in the court’. How can a single mother with two kids not be allowed to give her own property to her own daughters, or do anything with it? She has to surrender it to the government! Can you imagine this? She has to give her home and her land to the government, she can’t give it to her own daughters. Is this not gross injustice with Kashmiris? The experts on Kashmir and on the Article 370 came and sat with me and explained point by point how the state was cheated by Jawaharlal Nehru. He gave them a special status without the parliament passing it. We never knew that certain laws are not applicable to a part of this country. If we are one country, it means that we should have only one flag, one constitution. This was handled very surreptitiously. The intellectuals of this country should sit and study Article 370. It is doing injustice to the people of that state. Just look at this one example, where this woman cannot transfer her property to her own daughters. If she passes away, the children will be out of the house and will have nowhere to go! How many of you think this is gross injustice? (Everybody in the audience raise their hands). No sane person will think this is the right justice. There are many such laws and provisions. In Jammu and Kashmir, the population is more in Jammu than in Kashmir. According to our constitution, for every 12,000 people you can elect one MLA in Kashmir. But for the same in Jammu, you have to have about 60,000-1,00,000. Do you think this fair? How many of you think this is not fair? (Everybody in the audience raise their hands). There is a limitation to this law which says that you cannot change it till 2035. Farukh Abdullah got it passed in his assembly so that they can dominate over the state. This is not democracy. Do you think this is democracy? This is gross injustice. In Ladakh, one MLA represents the population in every 54,000 square meters. In 7 months that MLA wouldn’t even be able to visit all the areas (of the 54,000 square meters assigned to him). There is just one MLA for such a large area! This is total injustice. The way these laws were made and the Presidential order was passed, without even going to the parliament, is all illegal. Lawyers should challenge this in the Supreme Court. Justice should be given to everybody. A daughter has the same rights as that of a son. The things that have happened in Kashmir are not good. It is very important for us to change the law in such places. Gurudev, I am a part-time tarot reader and a few people have suggested me to quit. They say that tarot card is a tool that connects us to the lower level spirits. I want to ask you if I should continue or quit. If you ask me, you should quit. 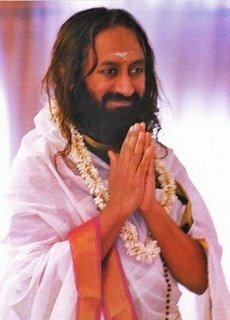 Gurudev, how can married people be more dispassionate? Whenever you have a fight with your spouse, at that time become dispassionate. When what you don't like happens, at that time, become dispassionate. Dispassion is a part of life, without dispassion life cannot move ahead. Without dispassion there can be no happiness in life, or no contentment in life. One who is not dispassionate will keep pulling things from the past and re-projecting them into the future. But a dispassionate one will not do this because he always lives in the present moment.